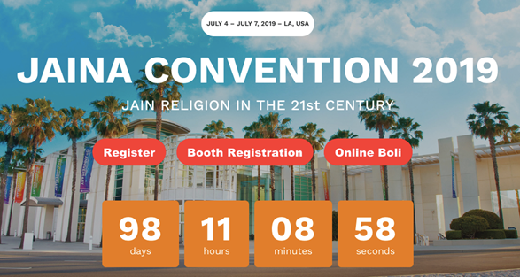 Less than 100 days are left for the JAINA Convention 2019. We are excited to meet you. Make sure you have registered your spot. Registration details are below. After eight successful Jain Workshops, JAINA Education Committee brings you the ninth Jain Workshop at Jain Society of Chicago from April 5-7. Details are below. 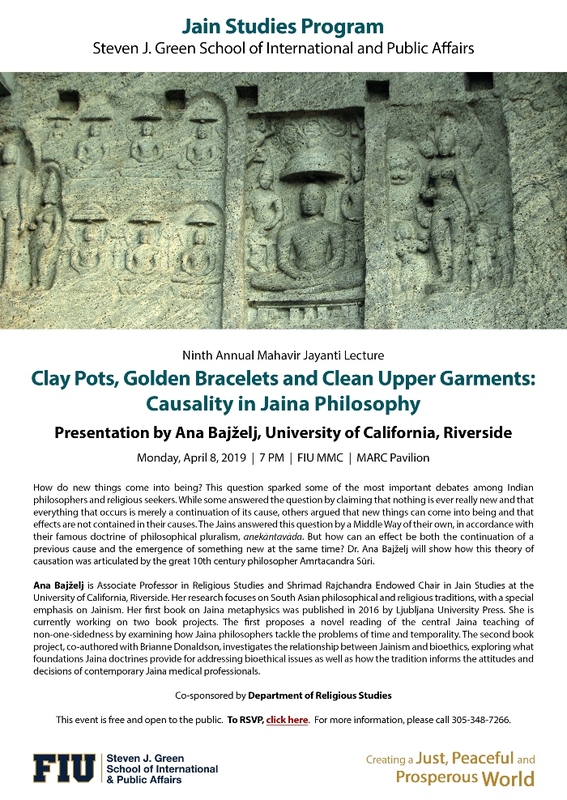 Jain Education & Research Foundation invites you to the ninth annual Bhagwan Mahavir Jayanti lecture on "Clay Pots, Golden Bracelets, and Clean Upper Garments: Casualty In Jain Philosophy. Details are below. All unenlightened persons produce sufferings. Having become deluded, they produce and reproduce sufferings, in this endless world. Q 1: Can you name the types of Antaraya karma? Q 2: Can you name the types of Ayushya karma? Less than 100 days left for the JAINA convention! We have an exciting line up of day time speakers - from Jaggi Vasudev Sadhguru, Tulsi Gabbard, Gaur Gopal Das and Nipun Mehta! Have you reserved your spot at the upcoming JAINA convention? What are you waiting for? Jain Workshop #9 will be held at Jain Society of Chicago from April 5 - 7, 2019. It is now open for registration to outsiders.The registration fee is $40.00 per person, whichincludes all meals and workshop material. To register for the workshop click here. Jain Education & Research Foundation (JERF) invites you to the ninth annual Bhagwan Mahavir Jayanti lecture on "Clay Pots, Golden Bracelets, and Clean Upper Garments: Casualty In Jain Philosophy by Ana Bajželj on April 8, 2019 at Florida International University. For more details on the event, click here. For registration, mail to jerfmiami@gmail.com or call at 305-348-7266. 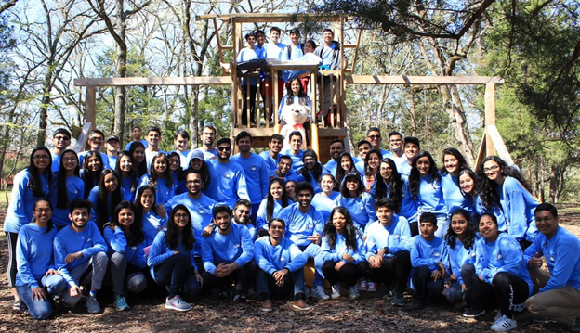 This past weekend, young Jains from across the YJA South region gathered in Bryan, Texas to participate in a weekend full of bonding, world-changing ideation, and spiritual revitalization. Jain youth from Houston, Dallas, and Austin attended this incredible experience which included Jain educational sessions, vegan-friendly food, and outdoor events such as boating.